May 26, 2017 . Leave a comment. Franck Ribery has said that Chelsea wanted him at Stamford Bridge in 2009. The 33-year old is now past his prime was one of the most outstanding wingers. He was in high demand about a decade ago with Bayern Munich president Karl Heinz Rummenigge confirming that Chelsea badly wanted him. Rummenigge revealed that the Blues offered £56 million and Jose Bosingwa in a cash plus player deal for Ribery but the German side were not fazed. The Bayern chief believes that the move helped the club dominate Europe. Ribery added that the biggest clubs in Europe were on his case, naming Real Madrid, Barcelona and Manchester United as interested parties. “In hindsight, I have to thank Uli Hoeness and Rummenigge for speaking regularly to me back then. I’ve now been here for ten years and have won everything. 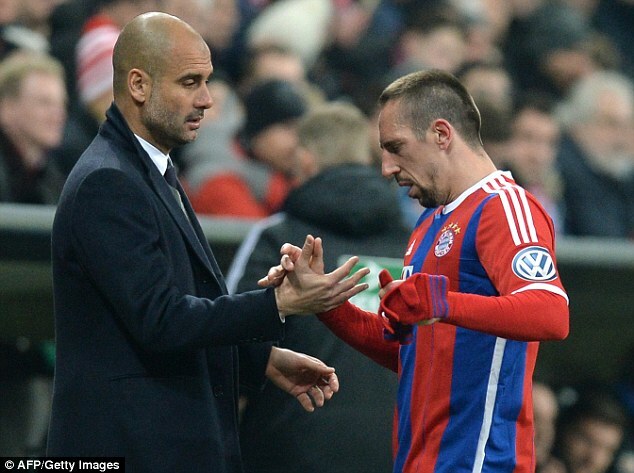 My family is doing well and I am happy,” Ribery said. The player got a one-year deal to remain at the club as injuries force him to hang his boots sooner. Ribery said he would not play again in Europe when he eventually exits the German champions. “I will play until my knee, my ankle or my back say ‘stop’. If I remain free of injury, I might still have two or three more years at the top level,” he added. Ribery has been linked with Chinese clubs when he decides to leave Germany but the player says his “good relationship with Bayern” might make him consider management or youth development later. Previous post: AZPILICUETA UNDER APPRECIATED AT CHELSEA?